2016 was another volatile year for information security. However, after 22 years of watching the same problems recur, 2016 changed things up. Business leaders are finally accepting that information security is not an appliance or compliance, but rather an everyday business practice. With that in mind, let’s look at the cybersecurity trends taking shape in 2017. The era of the pushy cybersecurity value added reseller (VAR) is over. Decades of CIOs buying “the next shiny object” have done almost nothing to stop the deluge of malware and attacks. CIO/CISOs are fed up with products and VARs. They want intelligence not appliances. With the death of the VAR, rising in its place is the managed security service provider. The lack of cybersecurity talent, and the need to operationalize compliance and security is driving companies to outsource security. Everything is going there and for good reasons. The cloud is cheaper, more reliable, and *gasp* more secure. MSSPs are going to the cloud as well. Attacks are too complex and sophisticated for a person or even a team of people to handle in a timely manner. Automaton of security response and investigation is the only way to react in a consistent and rapid manner. This puts automation players like Phantom, SwimLane, and Hexadite in the spotlight. 2017 will see rapid growth of this market and probably some acquisitions as well. After years of cybersecurity screeching over IoT vulnerabilities, we see this issue cooling in 2017. Vendors are patching the holes and networks are closing botnets. For the past ten years, the cyberwar between various state actors has remained mostly a cold war. Plenty of rhetoric, minimal damage. Stuxnet in 2010 turned up the heat, but did not ignite a war. However, the 2016 US election hack was a lot bigger and bolder. Regardless of the source of the attack, there is no denying had a big impact on the US election. We expect to see increased state-sponsored attacks in 2017. Ransomware is already the revenge tool of choice among disgruntled IT workers. This is driving a proliferation of point-and-click style malware providers. Malware makers are discovering they can make more money selling their malware, than hacking anything. We already have a solid set of User-Behavior Analytics (UBA) products in the market: Exabeam, CyberReason, FortScale, and so forth. SIEM makers like IBM, Splunk, and LogRhythm are rapidly adding this capability to their products as well. UBA is the next logical evolution of SIEM, providing deep, contextual information about internal user actions. In 2017, the Millennial generation will officially overtake the workforce, and likewise overtake over your security program. It is time to stop calling this generation names, and start working with them to build great security. 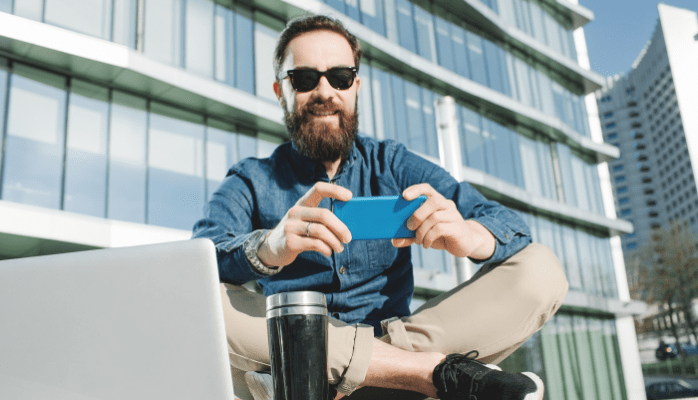 If you have not realigned your security program to engage Millennials, now is the time. If you refuse to align your program to this generation, you will continue to struggle with engagement and support. 2016 was an interesting year, in many ways. People are revolting against the status quo. Change is coming. Some of these changes are needed, badly. Some, may blow up in our faces. Here’s to a prosperous and secure 2017. Found your blog. Its really nice. I appreciate your article. Its important to get quality Cyber security tips. So thanks for sharing all that important information.